www.soldierhollow.com . To learn more about the Utah Olympic Legacy Foundation, visit www.utaholympiclegacy.org . 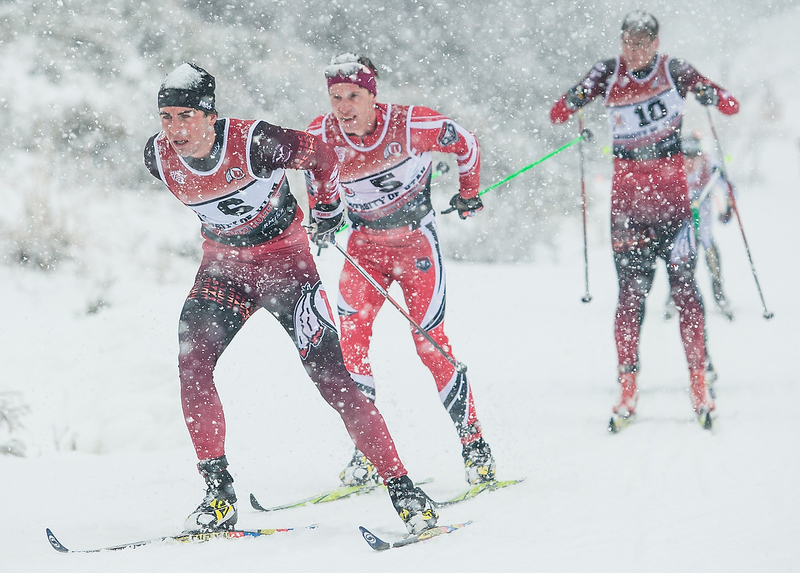 Collegiate men s cross-country skiers compete during the 2015 Utah Invitational at Soldier Hollow. On Thursday, workers at the Utah Olympic Park were outside putting the finishing touches on last summer’s big renovation project, an endeavor that included both the construction of new freestyle training water ramps and an expansion of the parking area. Inside the Utah Olympic Legacy Foundation offices, though, attention was focused farther south. Last week, the foundation announced it would take over operation of Soldier Hollow, the 2002 Olympic cross-country venue. The acquisition of Soldier Hollow came to fruition after a long exploratory period. Utah Olympic Legacy Foundation President and CEO Colin Hilton said the UOLF, which also operates the Utah Olympic Park in Park City and the Utah Olympic Oval in Kearns, decided it was a good move for the three venues to be reunited. "The Soldier Hollow board approached our organization in August of last year, pointing out that while they’ve enjoyed overseeing the operation for years, they were concerned about the longevity of the upkeep of Soldier Hollow and asked if we would consider integrating it into our efforts," he said. "That kicked off about an eight-month due diligence process for us to understand the financial implications and operational efficiencies that we could create in doing this." At the end of the process, Hilton said the UOLF discovered that finances would allow the merger. "In the end, for me, this is a little bit of a coming full circle," he said. "My predecessors running the Utah Olympic Legacy Foundation right after the ’02 Games were involved in operating Soldier Hollow. Then, because of financial concerns about being able to support the Olympic Park and Olympic Oval, [the UOLF] didn’t view that we had the ability and capacity to look after Soldier Hollow. We now view that we do and that we’re stronger and better to be able to put our umbrella around three venues. "[Soldier Hollow] has an operating budget that breaks even, as opposed to a subsidized operating budget which we have here at the Park and the Oval. The financial implication for us is not a large commitment." Hilton said not much would change at Soldier Hollow, which has always had a good relationship with the UOLF. Now, he said, it’ll just be a little bit easier to coordinate efforts on Nordic combined competitions and allow the UOLF to expand into other winter sport areas. "If anything, what we’re more excited about is the ability to help their teams more than just with those events, and vice versa," he said. "They run a pretty great tubing operation at Soldier Hollow and we’ve gotten more involved in that up here. There are things our staffs can learn from each other. We’re not projecting to make any major changes other than bringing in some financial resources to help with the upkeep of Soldier Hollow. That has been an area for which there’s been a huge amount of deferred maintenance that we are going to start addressing." What’s next for Soldier Hollow? This summer, maintenance work will begin at Soldier Hollow. Hilton said the UOLF will tackle some of the deferred maintenance costs head-on. 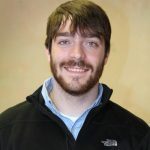 "The state of Utah went and lobbied successfully to receive $500,000 in critical repair funding that we will be doing this summer at Soldier Hollow," he said. "Even before we officially took on the oversight responsibilities, we set the stage with the legislature to receive some funding that will help. It’ll improve some of the snowmaking systems and capacities, replacing some of the older equipment. The largest single item is acquiring a new snowcat to do the trail grooming. That’s one of the original 2002 snowcats that’s been operating there. It’s also for improvements to the biathlon range and what we’re calling ‘sport technical upgrades’ that will allow us to host biathlon events." The renovation of the biathlon venue is a big deal to Soldier Hollow. That will make it easier to attract more world-class events to the area. "We haven’t held a biathlon World Cup and competition since 2002, so for the governing body of US Biathlon, they’re very excited that we’re going to make these improvements," Hilton said. "We hope to attract a biathlon World Cup sometime in the next couple of years." Having the ability to host top events in another winter sport is important to the UOLF, which Hilton said hopes to keep Utah on the minds of global governing bodies. With Soldier Hollow back under the Olympic Legacy umbrella, the big question is whether the acquisition is an attempt to bring another Winter Olympics to Utah. Hilton said that’s not the main reason behind the decision, but it won’t hurt Utah’s chances. "Our aspirations are to be the world’s premier Winter Olympic athlete training and event destination," he said. "If we do that well, when the time is right, we will be well-positioned for hosting another Games when the opportunity comes up." For now, though, he said the biggest goal of the UOLF is to improve the facilities at Soldier Hollow and expand the foundation’s reach into another market. "We’re excited to reintroduce our legacy foundation into the Heber Valley and we think Soldier Hollow is a terrific asset," he said. "We are excited to be helping to shape the vision of what Soldier Hollow will be in the future." For more information on Soldier Hollow, visit http://www.soldierhollow.com . To learn more about the Utah Olympic Legacy Foundation, visit http://www.utaholympiclegacy.org .